There is a touch of the Greek about this melt-in-the-mouth lamb dish. 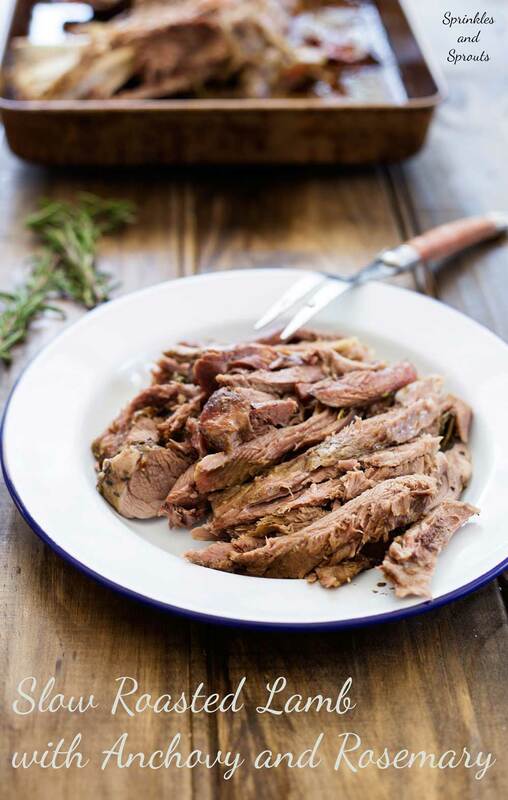 Succulent, juicy lamb with a rich flavour and a wonderful depth from the rosemary, anchovy and garlic. 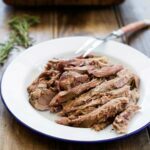 Don’t worry if you don’t like anchovy, once cooked the flavour in the dish isn’t one of fish, more a deep salty savoury taste that permeates the lamb and is just wonderful with the rosemary and garlic. I first cooked lamb this way after seeing Nigella Lawson, make a slow cooked lamb with pomegranate and mint, which is a wonderful recipe!! Highly recommend you check it out. 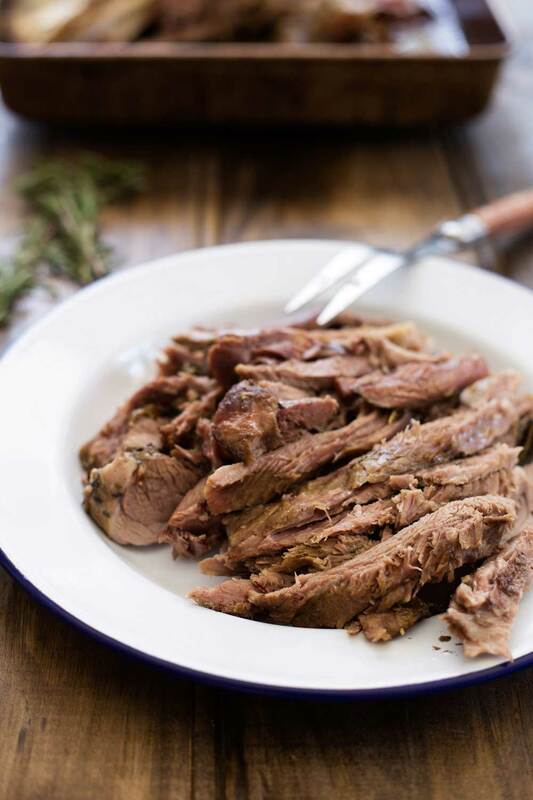 Slow cooking a shoulder of lamb leaves the meat so wonderfully tender, it falls from the bone! This method of cooking works so well that you can just place the lamb in the oven and forget about it. I usually cook my shoulder overnight, giving it around 9 hours cooking. The low temperature, water and tent of foil, mean it doesn’t dry out. But if you have less time or do not want to leave the oven on overnight then you can up the temperature slightly and cook it for 5 hours. Both methods will give you wonderfully tender lamb. 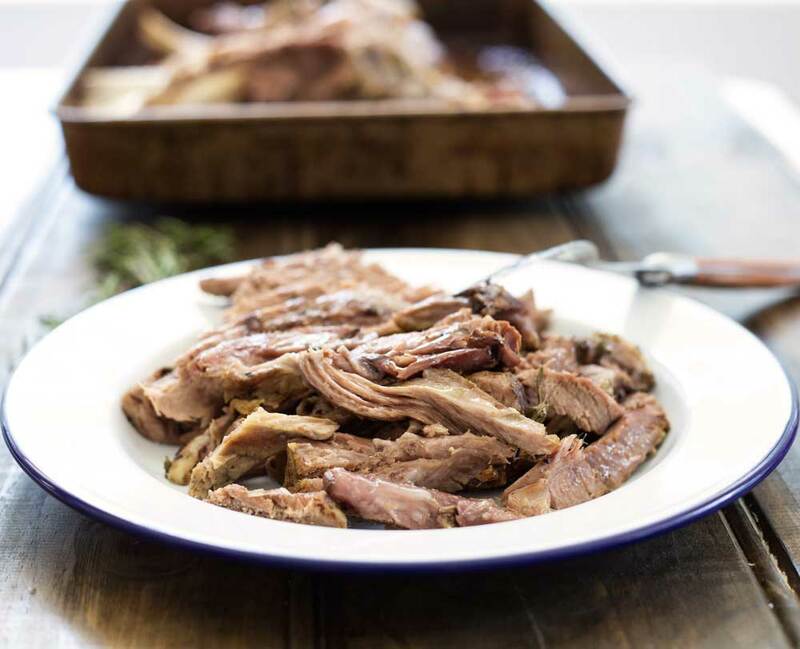 A shoulder of lamb isn’t a cheap dinner, but it will serve at least 6 plenty of people and you can get plenty of leftovers from that one joint. Coming at the beginning of next week, as part of my ‘Leftovers‘ collection is a recipe for using up roast lamb. A full recipe for turning the leftovers into a new meal. No serving the meat along side something else, this collection is about new dishes. Pre-heat the oven to 140°C/Gas Mark 1/275ºF (for overnight cooking) or 170°C/Gas Mark 3/325ºF (for quicker cooking). Pull the rosemary leaves off the stems and place in a small bowl. Peel the garlic and cut each clove into 3 thick slices. Place the lamb on a chopping board and use a sharp knife to stab 12 slits deep into the flesh. Chop the anchovy fillets into a rough mush and then push the anchovy into the lamb slits. Now take your garlic and rosemary and divide this between the slits. Cut the onions into thick rounds (about 2cm thick) and place them in a flat layer inside a deep edged roasting tin. Place the lamb on top of the onions and pour the boiling water around the edge. 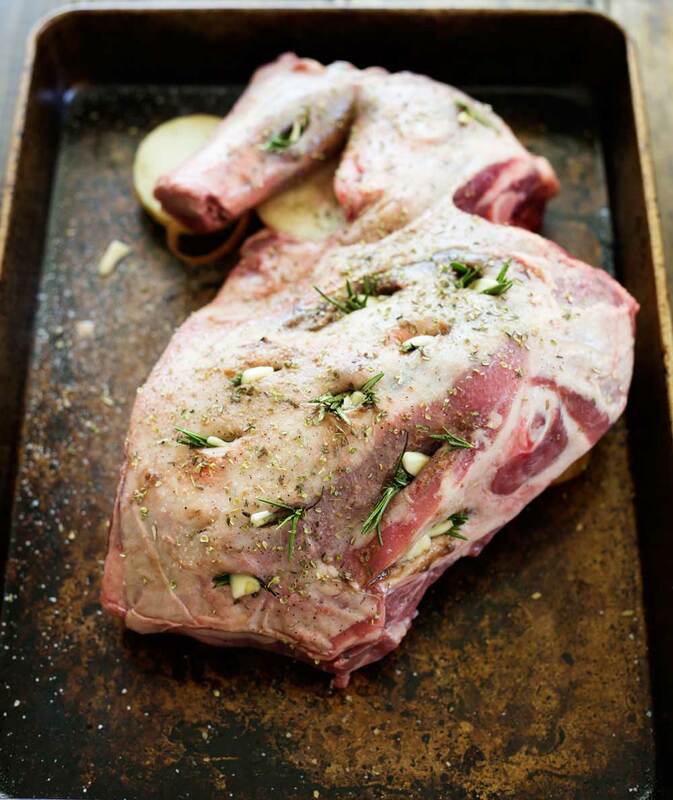 Sprinkle over the dried oregano and then season the lamb generously with salt and pepper. Cover with a tent of foil. 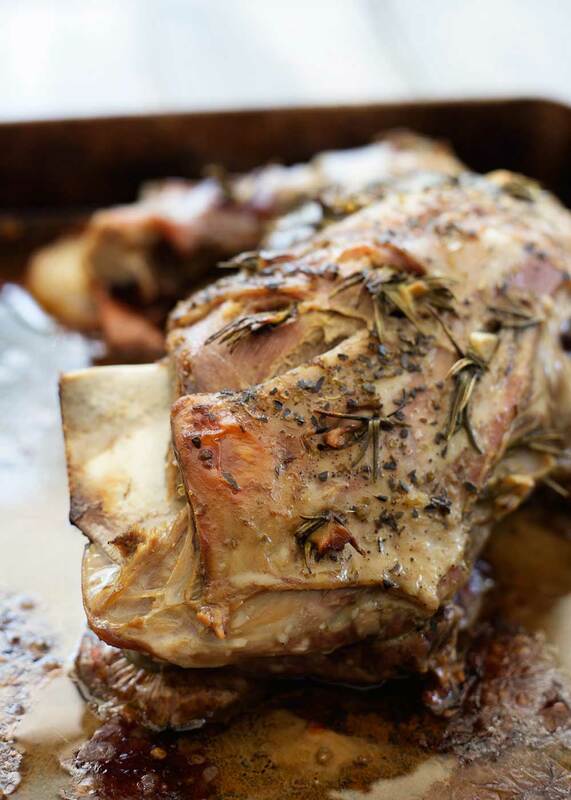 Place the lamb into the oven and cooked for 8-10 hours (at 140ºC) or 5 hours (at 170ºC). Remove the lamb from the oven and pull the meat from the bone. 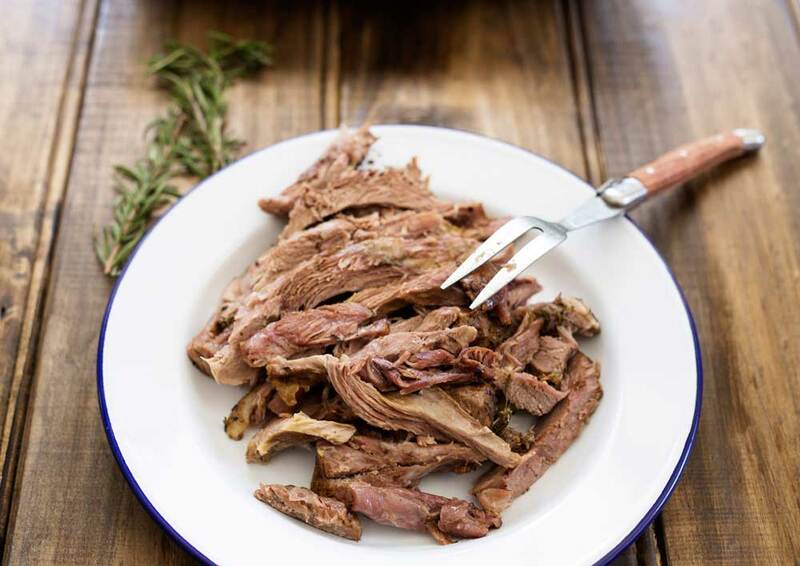 It is almost impossible to carve lamb that has been cooked long and slow like this. Much better to just pull juicy strips off. I am exactly the same, if I see lamb on 50% off I buy as many joints as I can get in the freezer!